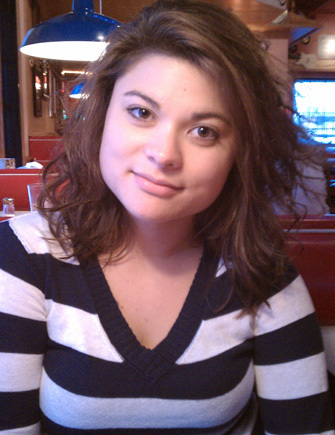 Bethany Decker was last seen at her Ashburn apartment Jan. 29. The last person to see Bethany Ann Decker, before she disappeared in Jan. 2011 while five months pregnant, believes she is alive and will return home safely. ASHBURN, Va. – The last person to see Bethany Ann Decker, before she disappeared in Jan. 2011 while five months pregnant, believes she is alive and will return home safely. Loudoun County Sheriff’s investigators have said Roldan was living with Decker, despite her being married to Emile Decker, who was serving in Afghanistan. Emile Decker has since returned to the U.S.
Bethany Decker had described Roldan’s demeanor to family and friends as “controlling and abusive” according to investigators in court documents. Investigators searched Roldan’s mother’s home, with a search warrant, soon after her disappearance. “My client has met with them, and has been cooperative,” Geloo says. Sources in the sheriff’s office said Roldan eventually ceased answering questions. WTOP reported earlier Decker, whose due date was in Aug. 2011, met Roldan at Carrabba’s Italian Grill in Centreville, while she worked there. According to investigators, it’s unclear who fathered Decker’s child. “The Decker family is thankful that Mr. Roldan is hopeful and full of prayer, ” says family spokesman Peter Byrnes. “We’re holding out hope she’s fine, and somewhere else, and wanting to be alone,” Byrnes said. Byrnes and investigators have said there’s no indication of foul play, activity on her bank accounts, cellphones or email. Last week, Loudoun Sheriff Michael Chapman declined to characterize whether Emile Decker or Ronald Roldan were cooperating or targets of the investigation, saying the case remains active. Byrnes says Roldan has never reached out to the Decker family, and that few if any family members had ever met him. Investigators say Roldan saw Decker after she last saw her husband, who was returning to Afghanistan after military leave. “What happened in their last meeting, we don’t know,” Byrnes says.